Regine Stokke began her blog after being diagnosed with an aggressive form of leukemia in 2008. Her goal was to paint a realistic picture of what it’s like battling a life-threatening illness—and to share her experience with the world. During the 15 months Regine was sick and to her death she transformed from an average teenage girl, upset that she doesn’t have a private hospital room, to a grateful and humble young woman with a deep appreciation for the beauty all around her. Regine’s Book (Zest Books, October 2012) is Regine’s story as it was written on her blog and is supplemented with a selection of photos as well as comments from blog readers and entries from those who loved her most. The book deals with all the facets of living with cancer, from the good days to the bad and everything in between. It was this incredible hope and love for others that carried Regine through the 15 months of her illness. During this time she also had her photographs displayed in a museum exhibit, attended concerts, enjoyed her friends and family and advocated for others to register as blood and bone marrow donors. 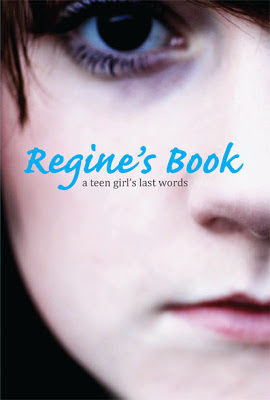 Regine’s Book shows her as a typical teenager in a terrifying situation, with an amazing will to live, and the lessons she learned have relevance for all of us. Through her eyes, readers will discover a more vivid world—and a new appreciation for life, art, and the power of the human spirit. Regine Stokke was a lover of life—a poet, photographer, blogger, and leukemia patient, who blogged about her devastating struggle with the illness and shared her story with a world of strangers. Originally published in her homeland of Norway, Regine’s Book is being considered by the Norwegian Literature Abroad (NORLA) foundation for a translation grant. Regine was a very gifted photographer whose photos were exhibited at both the 2009 and 2010 Nordic Light photography festivals. Cancer affects millions of Americans every year. Most teens likely know someone affected by cancer, but don’t know the details of what it’s like to live day to day with the disease. Regine’s Book tells the intimate story of one teen living with cancer—putting a face on this terrible epidemic and illuminating the importance of becoming a bone marrow donor. Zest Books will make a donation to The Leukemia and Lymphoma Society Team in Training in Regine’s honor. Check out an amazing article by Huffington Post that includes an original blog entry and moving photos. Full tour schedule can be found at Zest Books & their monthly giveaway!